I finally had the time to watch Thor: Ragnarok. Short version: it’s a crazy, fast-paced, often ADHD, humorous, adventure. Go see it for yourself. Long version: the movie is funny, the action scenes are over the top and Cate Blanchet is a fantastic villain. The interactions between Thor and Loki are witty and charming and there’s even a couple of moments of endearing emotion, as you sense they are two brothers who have gone their (very) separate ways but still care for one another (even as they try to kill one another). The constant humor is great, though I wonder how well it will hold up over time. Thor, normally the straight man, is making witty quips and throwing out cheesy one-liners almost constantly. At times, it feels like a series of 80’s one-liners tied together with a bunch of action scenes. Still, the jokes are funny and the situations are dark enough that without this level of humor, it would be a pretty depressing movie. There are no major plot twists (or at least, nothing that’s not hinted at from the beginning). 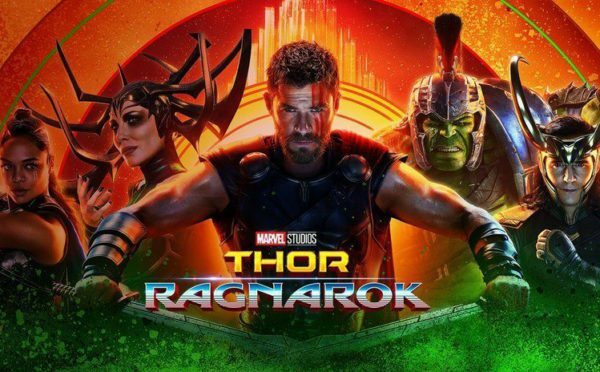 This is a movie about Thor beating down those who get in his path (and occasionally being electrocuted, I mean, what’s up with that, he’s the God of Thunder, how is electricity his weakness?). It has something of a Blues Brother vibe, “We’re putting the band back together!” But that campy humor works… because the situations are so ridiculous and desperate that sometimes unleashing a Hulk on your home planet is preferable to the alternative. It’s not a movie without flaws. The director definitely went with humor as a way to diffuse the very dark overall plot line. That’s fine, but I do think they could have spent a bit more time exploring the sacrifices and efforts of all the non-Thor Asgardians. They had some terrific actors like Idris Elba who were basically in cameo roles. The plot was fairly predictable, the villain(ess) was bad, even charmingly so, much like Loki, but without as much background or motivation. I really enjoyed the movie, I may go see it again, but I didn’t love the movie, not the way I was hoping. There were no deeper themes, other than the occasional bit about family. This was an action movie, first and foremost. Which is fine, but it left me wanting just that little bit more.